Scents have a strong relationship with our memories, and this cotton candy scented scrub is likely to bring back some childhood memories. Reminisce of county fairs, amusement parks or zoos as you use this gentle exfoliant in the morning. You can use it on your face or body. Cocoa butter, shea butter, grape seed oil and apricot oil provide moisturizing properties to your skin while sugar and jojoba beads provide texture for exfoliating. You Save $20.05 by purchasing this kit rather than buying the items separately. Sugar, Apricot Kernel Oil, Grape Seed Oil, Emulsifying Wax, Shea Butter, Stearic Acid, Cocoa Butter, Fragrance, Phenoxyethanol, Methylparaben, Ethylparaben, Butylparaben, Propylparaben, Isobutylparaben, Vitamin E, Red 28, Red 22, Jojoba Wax, Ultramarines. COMMENTS: This kit was perfect! It made 10 good size jars, smelled amazing, and worked even better. Definitely will purchase again. It made my skin feel and smell so good. COMMENTS: This scrub is the perfect texture and very moisturizing. The frangrance is a sweet smell, very yummy! COMMENTS: This kit was easy to use. The only thing I did different was use 4oz jars and I used a different preservative. Nice cotton candy color and nice touch with the blue jojoba beads. I will definitely repurchase. The only thing I can say is the fragrance oil that is in this kit is a tad weak to me. COMMENTS: Easy to follow instructions. Would purchase again, but I had to double the amount of sugar to get the consistency that I wanted. COMMENTS: This was my first sugar scrub kit and I ABSOLUTELY love it! I will be ordering more and customizing in different scents and colors! COMMENTS: First sugar scrub kit we've used and customers are buying like crazy. "Does not smell like cotton candy at all"
COMMENTS: I will be writing WSP regarding this purchase. I received this kit which is great. Has everything you need. Including a bottle of the cotton candy fragrance. Which smells just like cotton candy. I followed the recipe that came with the kit perfectly and the end result.... A sugar scrub that smells like chocolate covered cherries. The coco butter instantly over powered the recipe as soon as I added the recipe amount in the double boiler. But at first I thought nothing of it and that once I added fragrance it would change. I added the recommended fragrance and smelled nothing. So I double it as the recipe says I can do. Still nothing. I ended up using 70% of the 2 oz bottle and not a single trace of cotton candy scent can be detected through out the process and afterwards. I am now 4 days out and they still smell like chocolate covered cherries. I'm very disappointed. Possibly the recipe is wrong? Or the scent was expired when it was shipped? Even though it says it wasn't. Did anyone experience this with this kit? "No matter what I do, my scrubs harden in the winter. In the summer, they're perfect. Not sure why this is? I even lessened the sugar and added more oils. " Staff Answer If the scrub is too hard, we would recommend cutting down on the emulsifying wax. You might try using 2.75 oz. each of e-wax and stearic. You can then adjust accordingly. "Could you please tell me what the jojoba beads are made of? Are they plastic? Do they dissolve or crush? I had some that wouldn't dissolve no matter what I did to them and want to make sure these are not those!" Staff Answer Jojoba Beads are made of hydrogenated jojoba wax. They do not dissolve in the product but are used for exfoliating and adding color. They can be left out of the recipe if you choose not to add them. "I've noticed in the review comment section that a few customers complained there wasn't enough sugar for the scrub kit. Is the 5lbs of sugar being sent in this kit the same amount they were sent, or have you updated the quantity of sugar being sent out? Hope that makes sense. Thanks." Staff Answer The kit does contain enough sugar for the product. The scrub will harden as it sits so it may not seem like it is thick enough after it is first made. You can let it sit in a covered bowl overnight. The next day you can see if you need to add more. 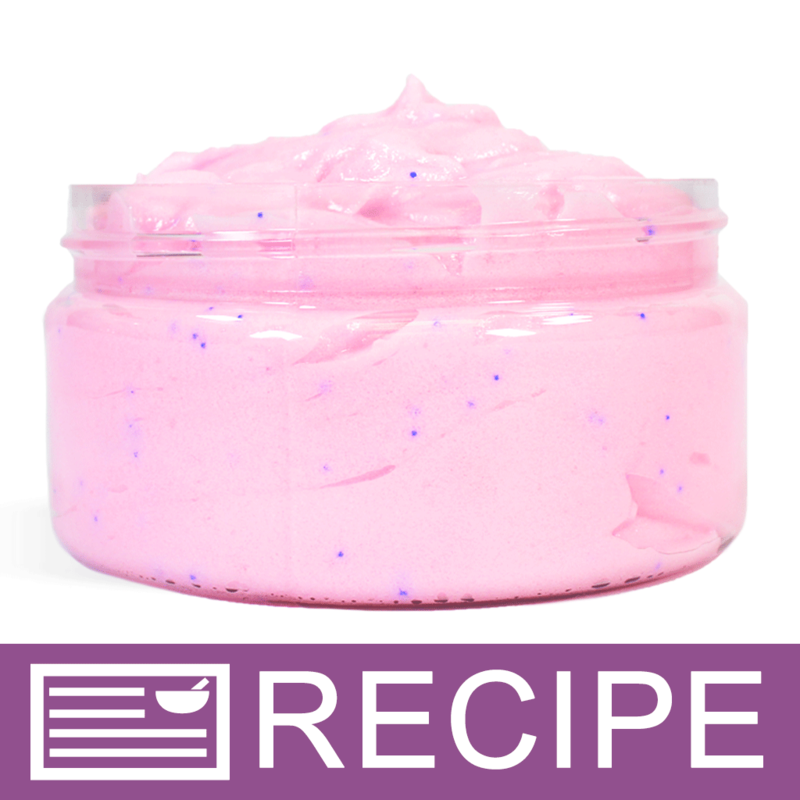 "Cotton Candy Emulsified Sugar Scrub Kit MSRP is $15.95. Is this including the labor, or just the product?" Staff Answer This is just the product. You would need to add the labor into the cost. "Could you use mica's as a colorant in this instead of the neon pink powder?" Staff Answer Yes you can. However, the micas will not provide any luster or shimmer to this emulsified scrub. "Is it possible to substitute Optiphen ND for the phenonip? I havent made and order and am currently out of phenonip. " Staff Answer Yes you can substitute Optiphen for Phenonip. Just be sure to adjust your usage rate to that of the Optiphen as I tis higher than the phenonip.